Earning a college degree requires a significant investment of both time and money. According to the College Board, the average cost of tuition and fees for the 2013-2014 school year was $30,094 at private colleges, $8,893 for state residents at public colleges, and $22,203 for out-of-state residents attending public universities. The reason for making an investment in a college education is, of course, the expected return. According to a Georgetown University Center on Education and the Workforce study, bachelor’s degree holders can expect median lifetime earnings approaching $2.3 million, nearly twice as much as workers with only a high school diploma. Clearly, the investment in a college education will pay off in the long run. How much it pays off, however, depends on how smart the investment was in the first place. Finding affordable schools with quality education programs that translate to real career potential is the critical first step. Several individual data points were objectively evaluated to calculate a score or amount for each ranking factor listed above. For affordability, the most impactful data points were tuition1 and grants; for quality, graduation and acceptance rates; for flexibility, part-time enrollment options; and for program, degrees granted in that specific program area. Each score was then weighted, with affordability and 20-year earnings being the most impactful factors for return on investment. 1 Both in-state and out-of-state tuition rates were used in our methodology; however, our rankings tool currently only displays in-state rates. Calculating the ROI of your degree is an important — if oft overlooked — step of the school selection process. At its most basic level, a school’s ROI can be determined by While it can be difficult to determine, a school’s ROI can be determined by weighing the cost of a school against the conferred degree’s earning power. Using data from the Integrated Postsecondary Education Data System (IPEDS) and running it through our handcrafted methodology, ACO has come up with a list of schools that offer students the highest return on their tuition dollars. Established in 1636, Harvard University is a private Ivy League research institution in Cambridge, Massachusetts. Harvard comes in at the top of the list with a 20-year ROI of $1,031,816. 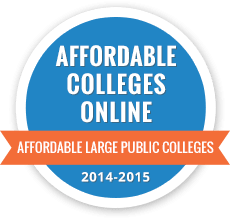 With over 900 courses, 20 degree fields and 40 certificates, it's online extension school offers a variety of highly customizable bachelor's and master's degrees for distance learners. In total, Harvard has about 6,700 undergraduate and 15,250 graduate students, all taught by about 2,400 faculty members. Online concentrations in the humanities, sciences and social sciences are available along with subdiscipline concentrations in all three. As a graduate of Harvard, you have both online and offline alumni services and benefits, including the school's exclusive Crimson Careers database. From career and networking tools to electronic library services to the Harvard Club, graduates have access to valuable career-building resources. Along with competitive tuition costs for an Ivy League school, 55% of students receive grants. Additionally, at 98%, Harvard has one of highest graduation rates. With a 20-year net ROI of $992,564, Stanford University takes second place. The school has 2,219 faculty members and serves more than 7,000 undergraduate and 9,300 graduate students. It's well known for entrepreneurship, leadership, research and innovation, but the school also thrives in the arts. As a leader in computer science and technology, Stanford offers several online degrees, graduate certificates and professional programs through its School of Engineering to prepare students for a range of in-demand careers. Post graduation, Stanford continues to support new grads and alumni in achieving their goals through its Alumni Association and extensive Alumni Career Services, which include professional education, career coaching, access to job boards and networking opportunities. In 2017, undergraduate students went on to find employment in a range of industries, from higher education to IT and business to fine arts. Examples of top employers of Stanford graduates include Accenture, Facebook, Apple, Google and McKinsey & Company. While Stanford is a highly selective school, it has a graduation rate of 96%, and about 48% of students receive grants. Massachusetts College of Pharmacy and Health Sciences is a private institution located in Boston's Longwood Medical and Academic Area. With over 100 programs offered across 3 campuses and online, MCPHS produces a diverse set of health care leaders in areas such as dental hygiene, public health, radiography, nursing, pharmacy and psychology. Ranking in third place, Massachusetts College of Pharmacy has a net ROI of $742,728 over 20 years. Well above average, 97% of graduates of this program can pay down the principal of their federal loans within 3 years of graduation. Massachusetts College of Pharmacy offers individualized career services through meetings that can be one-on-one, in-person, by phone or via email. More than 27,000 alumni around the globe are connected through the Career Center Blackboard resource. Here, professionals can network with others, search for jobs and have access to online resources and career guides. Specializing in engineering, nautical training, management, science and transportation studies, Maine Maritime Academy (MMA) is a public college with approximately 900 students. Located in Castine, Maine, and founded in 1941, it is 1 of 6 maritime training colleges in the United States. The school features undergraduate and graduate programs available both on campus and online. Graduates of this school go on to secure positions as nautical professionals, government workers and high-level employees in Fortune 500 companies. Maine Maritime Academy boasts a strong internship program that often leads to full-time employment upon graduation. Newly graduated students have access to career development and internship planning services, and the school also has a 95% job placement rate within 6 months of graduation. Degrees and training at MMA are well worth the investment. Ranking in 4th place, MMA has a 20-year net ROI of $648,644. On average, 39% of students receive grant money to attend MMA, and well above average, 67% of its students make it through the program to graduation. Coming in 5th place is Columbia University in New York. Serving over 27,900 students, Columbia has a 20-year net ROI of $653,444. This private Ivy League school in Upper Manhattan was founded in 1754 and is known, in part, for its undergraduate and graduate programs in public health. Graduates of Columbia's public health program go on to secure prominent positions in the field at top research universities, progressive labs and antiviral centers as well as high-level positions in city departments of health and hygiene. Approximately 88% of Columbia's public health school graduates find employment in a health care field within 6 months of their graduation. Columbia's graduation rate is a high 95%, with around 52% of those students receiving grant money throughout their education. Each school within Columbia University has separate and specialized career services to provide students and alumni with the essential tools to manage their professional development. The alumni association helps graduates connect through global networking events and online tools. Alumni also have access to Columbia's Career Coaches Network. Columbia alumni can also work directly with career advisors to help build their resumes, find additional or continuing education materials, take online seminars and participate in skill-building workshops. Bellevue University is a not-for-profit institution located in Bellevue, Nebraska. With more than 10,000 graduate and undergraduate students, this private university has prioritized adult education and educational outreach since its establishment in 1966. Bellevue students can choose from over 80 degrees and certificates that can result in a significant return on their investment. Ranked 6th, Bellevue has a 20-year net ROI of $104,404. In addition to having affordable in-state tuition costs, more than half of the student body receive grants while in attendance. Bellevue meets the demands of working adults by offering flexible schedules, career-relevant degree programs and over 75 fully online degree programs. Therefore, it is no surprise that many Bellevue students are 25-34 years old. The Bellevue Foundation and Alumni Office offer programs and services to keep graduates connected in their professional lives post graduation. Beyond helpful online job boards and library resources, alumni have access to career preparation and job application services, specialized career coaches and a military veteran services center. Located in Rolla, the Missouri University of Science and Technology was founded in 1870. This public land and space grant institution has a student body of 8,884 and is known for its engineering, business, sciences and mathematics programs. The school offers 16 graduate degrees and certificates online as well as professional and continuing education programs. This school may be particularly attractive for distance learners interested in pursuing degrees less commonly offered as an online program, such as master's degrees in aerospace engineering, chemical engineering, geotechnics and mining engineering. Missouri S&T also strives to help soon-to-be graduates and alumni prepare for and locate employment. Individual advising, workshops, job fairs and practice interviews are open to all students and alumni. Ranked in 7th place, Missouri S&T offers a 20-year net ROI of $189,648. On top of competitive tuition, 82% of students receive grant funding. Graduates of these programs move on to successful careers at major corporations, such as Anheuser-Busch, Caterpillar, Chevron, General Motors and Sprint Nextel. Lubbock's Texas Tech University Health Science Center (TTUHSC) is a multi-campus institution that serves more than 100 counties in West Texas. Established in 1969, TTUHSC has a study body of 4,500 and offers a wide variety of graduate and undergraduate degrees online. Consisting of three major schools- medicine, nursing and pharmacy- students can earn degrees in a number of health professions that will position them for a healthy return on their investment. Ranked in 8th place, TTUHSC offers a 20-year net ROI of $590,360. Texas Tech University Health Science Center's career center offers students and alumni job preparation services, information sessions with hospital recruiters, access to a national job search database and connections to advantageous internships and residences in their specialized area of study. Graduates of this program move to work at top facilities, such as the Cleveland Clinic, United States Air Force Nurse Corps and health care employers around Texas. Georgia Institute of Technology is a public research university located in Atlanta. The school has 31 academic departments located within 6 colleges and is well known for its engineering, computer science, business administration, design and liberal arts degree programs. Georgia Tech has 1,740 teachers on campus, serving a student body of 29,400 students. Students can earn online graduate degrees, such as a master's degree in analytics, computer science or aerospace engineering, that will increase their earning potential and put them on a path toward a long, successful career. Ranked in 8th place on our list, Georgia Tech has a 20-year net ROI of $285,280. Its professional development services for alumni will help you develop new skills and refine those qualities that make you a unique, contributing member of the workforce. Alumni have access to Georgia Tech's JacketNet Jobs database, annual job fairs with over 100 employers, workshops, webinars and online networking resources reserved exclusively for Georgia Tech graduates. Cincinnati's Union Institute and University is a private, not-for-profit research institution that specializes in distance education. At Union, you can pursue any of its 19 graduate and undergraduate programs entirely online. The school offers some traditional online majors, such as criminal justice and education, as well as less common, standout options, like the Ph.D. in Dr. Martin Luther King Jr. Studies and the master's degree in creativity studies. Whichever major you choose, Union has proven to be a strong investment. Ranked 10th on our list, Union's 10-year ROI is $302,208. Its alumni and career planning services will help you prepare for and locate a job in your chosen field or help you apply for further education. Boasting a strong education program, many Union graduates have gone on to become presidents of universities all around the globe, positively impacting the face of higher education. Additionally, Union has produced a notable number of law enforcement officers, with over 2,250 active duty members holding a criminal justice management degree from Union nationwide. The University of the Sciences, founded in 1821, is located in Philadelphia and was the first college of pharmacy in North America. USciences comes in 11th place, with a 20-year net ROI of $484,016. With multiple online degree programs, distance learners can obtain training in biology and health informatics as well as various degrees in the pharmaceutical or health care business. At USciences, 96% of graduates are employed or accepted for further education within 6 months of graduation. This school also has a graduation rate 10-15 points higher than the national average. Additionally, more than 94% of USciences students who apply to medical school are accepted. As an added financial feature, undergraduate students may participate in USciences tuition reset program, wherein no student will pay over $25,000 per year in tuition until after they complete their degree. USciences career services for alumni and graduating students include one-on-one counseling, job search assistance, workshops on networking and interviewing skills, as well as personal careers services and assistance for alumni 11 years or more beyond graduation. Upstate Medical University, located in Syracuse, New York, is a SUNY health sciences institution and is the second oldest medical school in the state. Ranking at 12th place, Upstate has a 20-year net ROI of $461,068. With a student population of 1,500, Upstate offers graduate degree programs within the Colleges of Medicine, Nursing, Health Professions and Graduate Studies. Distance learners may take classes in a hybrid format for some majors, including degrees in information management and technology and nursing practice. Graduates of this university move on to successful careers with employers like Syracuse University, V.A. Medical Center, Verizon, Carrier Corp., Time Warner and St. Joseph's Hospital Health Center. In many cases, more than 95% of graduates from the medical school secure employment within 6 months of graduating. Career services are available for students and alumni of each college, including career development workshops and guest lecturers to make sure students not only enter the job market confidently but also effectively advance their careers after securing a position. Illinois Institute of Technology is a private research institute located in Chicago. The school has 659 academic staff members and serves 7,300 students. It ranks 13th on our list, with a 20-year ROI of $215,828. Although this is selective school, Illinois Tech has a 100% graduation rate, and 67% of its students receive grants. The school offers graduate and undergraduate degrees, 19 of which are available partially or fully online, in fields such as engineering, science, architecture and design. Upon graduation, 89% of undergraduates and 98% of graduate students secure jobs or continue their education to obtain an advanced degree. Illinois Tech offers their current students and alumni a variety of career services, including workshops and events, career fairs, experiential learning opportunities, networking tools with alumni around the globe and one-on-one counseling. Additionally, with the help of the Career Services Office, many undergraduate students at Illinois Tech obtain part- or full-time internships that count for academic credit, offer some monetary compensation and strengthen students' resumes for the competitive job market upon graduation. Established in 1919, Babson College is a private business school located in Wellesley, Massachusetts. Babson comes in at 14th on the list, with an ROI of $547,820. With a low admittance rate of 24%, this highly selective school boasts a graduation rate of 90%. Among the students enrolled, 48% receive grant money. Babson is known for cultivating an entrepreneurial spirit among its students and offers nearly 60 entrepreneurship-related classes. With its main campus in Wellesley and classroom locations in Boston, San Francisco and Miami, Babson offers its students several degrees in a hybrid format. Career development services are available for both undergraduate and graduate students. Babson alumni who wish to pursue further education can apply for alumni scholarships and preferential tuition pricing. Additionally, alumni have access to in-person or online career counseling, job boards and several alumni networking organizations. Career advisors at Babson work tirelessly to secure the most relevant industry information and career insights for students' benefit. The University of Texas Health Science Center at San Antonio specializes in health science education and research. It comes in 15th place on our list, with a 20-year net ROI of $475,248. Established in 1959, the school serves about 3,300 students with 1,674 academic staff members. Distance learners can obtain both bachelor's and master's degrees entirely online. Online bachelor's degrees at UT Health San Antonio typically consist of around 32 hours of coursework and can be completed in 1 to 3 years. One of UT Health San Antonio's primary functions is to fund medical research, for which it secures $185.3 million in annual research awards and sponsored program activity each year. The Office of Career Development provides students and alumni with innovative career and professional development, including workshops, networking opportunities and outreach programs. The Student Success Center also helps students and alumni prepare for and find employment by organizing career fairs that include potential employers from health care organizations. With a 20-year net ROI of $405,048, the University of Texas Medical Branch takes 16th place. Located in Galveston and established in 1891, the university is home to the oldest medical school in the state. The school boasts a faculty of 1,000 and a student body of more than 2,500. The University of Texas Medical Branch includes 4 separate schools: the School of Medicine, the Graduate School of Biomedical Sciences, the School of Nursing and the School of Health Professions. Though the number and type of alumni and career services vary by school, all schools offer job boards, online and in-person networking opportunities and continuing education services. Other career development groups, such as the Committee for Career Development in the Graduate School of Biomedical Sciences, are active in each of the 4 schools. In these organizations, graduate students and postdoctoral students organize seminars and workshops to promote the success of their fellow students. Johns Hopkins University offers one of the most diverse online degree programs on the web. Ranked 17th, JHU's 20-year net ROI is $411,876. With 32 online programs to choose from, distance learners can earn certificates, bachelor's, master's and doctoral degrees in disparate fields, such as applied economics, biotechnology enterprise and entrepreneurship. This highly selective school offers grants to more than half of its students. Additionally, JHU has a high graduation rate of 94% and makes a special effort to take care of their alumni after graduation. Johns Hopkins University uses the Handshake career services platform and GoHopOnline to connect alumni job seekers and employers. Online alumni services include library access and specialized financial, travel and health services. One-on-one career help is also available for JHU alumni through each of the 9 schools as well as pre-professional advising for current students and alumni in health care and law. Career webinars are available through the Career Center and Alumni Relations Office. Webinar topics range from building a solid resume, to interviewing and networking, to specialized areas that feature JHU alumni speakers. In 18th place, with a 20-year net ROI of $820,524, Oregon Health and Science University is a research university focused on health education, the study and prevention of diseases and patient care. Established in 1887, OHSU is a public university located in Portland. The institution as a whole employs over 16,000 people, which includes all medical and research facilities. Comparatively, there is only a small number of faculty and students- 2,800 and 4,000 respectively. The university is broken down into 3 schools: the School of Medicine, the School of Nursing and the School of Dentistry. Distance learners can choose from 4 online degrees, including OHSU's popular RNBS completion nursing program. Most programs at OHSU call for in-person clinical courses, making those online degree offerings hybrid. Alumni and current students at OHSU have access to career services through their home departments and the Career and Professional Center. Through these programs, students receive training sessions and resources that help them develop leadership, writing, research and presentation skills. Career advisors will also help students develop an individual development plan that explores career possibilities and sets goals that best fit their desired career path. Located in Chesapeake, Virginia, Sentara College of Health Sciences ranks 19th, with a 20-year net ROI of $121,664. The school, which serves 500 students and employs 70 faculty members, offers students a variety of popular medical degrees, including the RN to BSN, Bachelor of Sciences in Nursing, Master of Science in Nursing, and the Clinical Nurse Leader MSN, all of which are available entirely online. Student achievement in all of Sentara's programs is notably high, with more than half of its majors reporting a job placement rate of 88% or higher. Students who graduated with degrees in invasive surgery and cardiac electrophysiology reported a 100% job placement in 2017. Sentara's alumni services boast an average job placement rate of 85%, although some specialty programs have 100% placement. Alumni take advantage of professional societies offered through the school, including the Nursing Honor Society and the Society of Invasive Cardiovascular Professionals. Founded in 1885, the South Dakota School of Mines and Technology is located in Rapid City. Coming in 20th place, SD Mines has a 20-year ROI of $133,412. The school serves over 2,700 students with 172 faculty members. Overall, SD Mines has a job placement rate of 96%. Although only 56% of its students complete their degree programs, more than 67% of them receive grant funding while enrolled. At SD Mines, distance learners can choose from three entirely online or hybrid master's programs in construction engineering and management, engineering management and mining engineering and management. SD Mines' Career and Development Center provides students and alumni with resume and interview preparation, networking events and workshops. Alumni and students can also search for jobs, internships and co-op positions through the school's own online job search engine, Gold Mine. SD Mines' career services office also specializes in developing employment opportunities for its alumni around the state. Partnering the Dakota Roots website, SD Mines helps grow the state's workforce by connecting employers with students and alumni interested in working in or returning to South Dakota. The University of Maryland-Baltimore has a 20-year ROI of $629,264. Established in 1807, UMB has over 6,700 students and 2,840 faculty members. The school is nationally recognized for its programs in public health, law, dentistry, pharmacy, social work and human services. Distance learners can earn both the RN-to-BSN and RN-to-MS degrees entirely online. Master's degree students have even more options, with hybrid and fully online options available in fields such as cybersecurity, forensic medicine, pharmacometrics and nursing informatics. For alumni and current students, the Office of Research and Career Development offers workshops, classes and seminars for those pursuing research-intensive careers. Their services also include tutorials on grant writing and publishing and funding original research. While alumni resources differ between each of the 7 professional schools, most offer specialized online networking platforms, class reunions and receptions, and access to a job board. The University of Michigan-Ann Arbor is a "Big Ten" public research university established in 1817 and has more than 540,000 living alumni--one of the largest alumni networks on the planet. Ranked in 22nd place, UM has an ROI of $160,760. The university boasts a notably high graduation rate at 92%, with 42% of those students receiving grant support while enrolled. UM offers several online degrees for distance learners, including convenient degree completion programs for transfer students with previous college credit. UM-Ann Arbor, in conjunction with its other campuses in Flint, Dearborn and Detroit, offers dozens of 52-week online courses through its Michigan Online program. In addition, UM uses the Handshake platform to provide alumni and students with access to job boards, available internships, campus and alumni events, job fairs and continuing education information. Alumni and currents students may also use the University Career Alumni Network (UCAN) to connect with UM graduates around the world and to pair students with alumni mentors who provide one-on-one, career-related advice. Coming in 23rd place with a 20-year net ROI of $667,788, Carnegie Mellon University is a private research university in Pittsburgh, Pennsylvania. CMU is known for its programs in computer science, information and technology management, engineering and its Tepper School of Business. This selective school boasts a 90% graduate rate. While enrolled, 50% of its students receive grant support. Distance learners can earn a Master of Business Administration in a hybrid format through the Tepper School that follows the same rigorous curriculum as the traditional on-campus degree. Distance learners can also take advantage of CMU's Access Weekends, where online students can convene in Pittsburgh, D.C., Philadelphia or Silicon Valley to attend live classes, take exams, give presentations and visit with potential employers. The Career and Professional Development Center offers a variety of services to help students and alumni prepare for and secure employment. The Development Center programs include college- and industry-specific counseling and advising, career fairs, workshops, interview and resume assistance, and access to online databases with available internships and part- and full-time professional positions. Serving more than 29,000 undergraduate students and 11,000 graduate students, the University of California, Berkeley is a public research institution established in 1868. Taking 24th place, UC Berkeley has an ROI of $101,000. The graduation rate at this competitive school is 93%, with 53% of those students receiving grants. Aside from being known as the flagship institution for the University of California system and one of the top public universities in the U.S., UC Berkeley's extension program offers a plethora of fully online degrees and certificates. From common online degree programs in business and education to stand-out degrees in art and design and biotechnology, the extension program offers online instruction for virtually any degree seeker. Graduates of UC Berkeley become a part of the Cal Alumni Association, which provides professional and social networking opportunities through corporate and networking events, continuing education services and mentorship opportunities. Ranked in 25th place, Vanderbilt University is a private research university with a 20-year net ROI of $302,744. Located in Nashville, Tennessee, Vanderbilt has a graduation rate of 93%. Approximately 63% of its students receive grant funding throughout their program. Remote students can pursue online degrees in education, human development and counseling and even an MBA. Known for its education school, Vanderbilt's Peabody College offers distance learners graduate degrees with state-of-the-art instruction and unique course offerings. The alumni association provides lifelong opportunities for its graduates to engage and connect through a variety of services and events. The VUconnect platform helps graduates search Vanderbilt's city-based alumni chapters and network of 125,000 alumni worldwide to make social connections and find career advancement opportunities. Alumni also have access to online job boards, industry research data and expert advice from career coaches via phone, email or skype. Vanderbilt alumni may also participate in the travel program, which features educational trips to locations all over the world, often with Vanderbilt professors, for "beyond the classroom" learning experiences. With student loan debt reaching a record high of $1.2 trillion, according to NBC News, students and families are understandably concerned about the cost of a college education. Skyrocketing tuition rates have also lead many to question whether a degree is even worth it. Research has shown, however, that a degree does pay off, as long as it leads to a well-paying career and not just a job at the local coffee shop post graduation. The harsh reality is that some colleges and degrees pay for themselves, while others don’t, and in today’s job market that’s something all students need to seriously think about before enrolling in any college and degree program. ROI, or return on investment, is a term that many have probably heard before. It’s a performance or value metric that can be applied to all sorts of purchases to determine if something is worth one’s money. If the benefits—or return—outweigh the investment, that’s a good sign that the purchase will be worth it. In terms of higher education, ROI refers to the cost of attending college (investment) versus the graduate’s future earnings (return). Because college students will be spending tens of thousands of dollars a year on education, it’s important to determine a college’s ROI before making any commitments. ROI, however, can be very subjective, and there is no one-size-fits-all calculation. An important factor to one student may not be as important to another. For example, student A may decide she needs personalized attention – typically characteristic of small private colleges – in order to do well, while student B can thrive in either a small or large environment. In addition to these expenses and fees, also consider the financial aid received, such as grants and scholarships. The financial aid consideration also applies to any online schools you may have in mind. In recent years, the federal government has pushed for increased transparency when it comes to college prices, so many schools now provide online calculators to help students and families estimate the total net costs. For a detailed rundown of how financial aid works at online colleges, see our in-depth guide. The potential debt that students accrue can greatly affect ROI. For example, if one’s student loan debt at graduation is more than one’s annual starting salary, that will be a problem. Ideally, a graduate should earn enough to meet all agreed repayment terms and conditions that came with the loan. This is when scholarships and grants will be beneficial. The more free money you can get, the less you’ll have to borrow and eventually pay back. How much a graduate will earn is key to calculate college ROI, as well as making smart decisions about student loans. Even if you’re not sure of the amount, an educated guess will still be helpful as it’ll be difficult to determine if you’ll be able to earn back the money you invested in your degree without an idea of future income. The Bureau of Labor Statistics posts median wages for several industries and occupations. Sites such as salary.com are also useful for researching potential wages. On a related note, one’s major or field can greatly influence future salary. It’s no surprise that an engineering degree will lead to a lucrative career, whereas a liberal arts degree will be much more varied, with some occupations even leading to little or no return at all. Therefore, when considering colleges, be sure to also think about your field of study and eventual career. If you’re passion is in a field that doesn’t pay well, it may be wise to consider a lower-cost college to maximize ROI. For many students, the primary concern is what they’ll earn after graduating. Although definitely important, some students may also consider other subjective, qualitative returns such as personal development and enrichment, life experience, passion, and socialization. These may not translate directly into financial benefits, but considering the fact that you’ll be committing a year, at the very least, of your life to being a student, they may help to keep you motivated and happy throughout the journey and can also positively affect you long after earning your cap and gown. Just because you’re pursuing a four-year degree, doesn’t necessarily mean that you’ll actually finish in four years. In fact, according to the Institute of Education Sciences, in 2012, 59 percent of first-time, full-time undergraduate students completed their degrees in six years. That’s two more years of tuition, fees, and student expenses that most likely weren’t factored in at the beginning. Time to graduation is particularly important for adult learners to consider. Because many adult students work part- or full-time while in school, it may take them longer than expected to complete a degree program. This extra time can also result in missed income opportunities. For example, if you’re currently working full-time in marketing, but decide to go back to school for two years to earn an MBA, not only are you paying for an expensive degree, but you’re most likely losing out on income by going to part-time employment or giving up your job entirely. One way to bypass this is to attend an affordable online college, which offers more flexibility so you can work towards your degree and still earn that full-time paycheck. Produced by The Chronicle of Higher Education and backed by the Bill & Melinda Gates Foundation, this website provides information on graduation rates, net price, potential earnings, and how long it will take for students to pay off loans so that students and families have all the facts and information they need to make smart decisions about higher education. The College Board offers several tools and calculators as well as other information on paying for college to help students and families better prepare for the financial commitment of higher education. Fidelity has compiled helpful information on various 529 savings plans as well as tools to estimate expected contributions and college costs. For those interested in going back to school to earn a master’s degree, LearnVest has created a tool to help prospective students determine whether grad school is actually worth it. Most colleges and universities now have online net price calculators available on their websites, but sometimes they can still be hard to find. U.S. News has compiled a list of net price calculators for 300 top National Universities and National Liberal Arts Colleges. In an effort to make college costs more transparent, the U.S. Department of Education launched the College Affordability and Transparency Center. Here, prospective students can find various information on colleges, including scorecards, net price calculators, and more. FINRA’s overall mission is to protect the public from fraud and bad practices and to promote fair financial markets. The organization has put together a whole section on smart saving for college, including a college savings calculator to figure out the annual amount you should be investing in order to have enough money to pay for all college costs. CFPB offers all kinds of information on paying for college, financial aid, and repaying student debt. Increasing college ROI often requires lots of careful budgeting. The DOE’s Federal Student Aid Office offers the following financial tips. The organization recently released a paper on college costs, prices and the Great Recession. Read the report to get a better understanding of the big picture. Finding an affordable college to attend just got a little bit easier. At Affordable Colleges Online we’re dedicated to helping you find the most affordable colleges in the fields you desire. We know how important a college degree is in today’s job market so we’ve analyzed the data and come up with this list of the most affordable colleges with the biggest return on investment. Check out the results and visit the university websites to find out which college is right for you. To find out how these colleges made our top-50 list, be sure to read our. Ranked #1, The Georgia Institute Of Technology Is One Of The World’s Premier Research Universities. Ranked Seventh Among U.S. News & World Report’s Top Public Universities, The Institute Enrolls Over 21,000 Students Within Its 6 Colleges. Georgia Tech Is The Nation’s Leading Producer Of Engineers As Well As Female And Minority Engineering Ph.D. Graduates. Holding More Than 848 Patents And Receiving Approximately $689 Million In Research And Development Expenditures, Georgia Tech Ranks Among The Nation’s Top Ten Universities (Without A Medical School) In Research Expenditures. Top-Ranked SUNY New Paltz Provides One Of The Nation’s Most Open, Diverse, And Artistic Environments In Order To Prepare Students To Excel In Rapidly Changing Times. The Tradition Of Intellectual Discovery Is Enhanced By A Location Of Stunning Natural Beauty, In A Dynamic College Town, With Easy Access To New York City. The Unusually Wide Array Of Professional And Liberal Arts Majors Fosters A Rich Academic Milieu In Which 8,000 Undergraduate And Graduate Students, Selected Through A Competitive Admissions Process, Can Develop To Their Highest Potential. New Paltz Has Been Recognized As A “Green” School With Environmentally-Friendly Buildings And Campus-Wide Recycling Programs. With Award-Winning Faculty Members, SUNY New Paltz Has Been Recognized For Its Value. Named The No. 2 Best Public University By U.S. News And World Report, University Of Virginia Was Founded By Thomas Jefferson In 1819. The School’s Suburban Campus Features Bachelor’s, Master’s, And Doctoral Degrees In Health Professions, Engineering, Education, Psychology, Social Sciences, And More. Texas A&M Is The Nation’s Sixth-Largest University, With More Than 50,000 Students Enrolled In More Than 120 Undergraduate Degree Programs. However, It Has The “Feel” Of A Much Smaller Campus, Thanks To The Friendliness Personified By The Entire Aggie Community In College Station. Its High-Achieving Students Are Challenged By A Rigorous Curriculum That Is Complemented By Numerous Study-Abroad, Internship And Undergraduate Research Opportunities. With More Than 800 Student Organizations On Campus, They Also Are Given A Host Of Opportunities To Develop Leadership Skills That Serve Them Well After Graduation. Home To The George Bush Presidential Library And Museum, The Campus Also Features Entertainment Venues, Landmarks, A Visitor’s Center, And More. Through Its Missions Of Learning, Discovery, And Engagement And Dedication To The University Motto, Ut Prosim (That I May Serve), Virginia Tech Takes A Hands-On Approach To Education. Virginia Tech Offers Over 70 Undergraduate Degree Programs And 150 Master’s And Doctoral Degree Programs To More Than 30,000 Students While Managing A Research Portfolio Of More Than $450 Million. 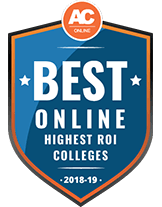 Through A Combination Of Competitive Tuition And Fee Rates And Increased Funding For Student Financial Aid Virginia Tech Is Consistently Named A ‘Best Value’ On Several National Rankings. Considered A “Public Ivy” And One Of The World’s Great Liberal Arts Universities, The College Of William & Mary Blends The Intimacy Of A Liberal Arts College With The Reach Of A Research University. Founded By Royal Charter In 1693, It Is The Second Oldest College And The First University In The Country. W&M Offers 30 Undergraduate And 10 Graduate Programs In Arts & Sciences, Business, Education, Law, And Marine Science And Its Programs Regularly Place Near The Top Of College Rankings. Today, Enrollment Stands At Just Over 8,000 Full-Time (Graduate And Undergraduate) Students With A 12:1 Student/Faculty Ratio, Among The Lowest Of Public Universities. Named The West’s Best Public Master’s-Level University For Two Decades By U.S. News And World Report, Cal Poly Is A Comprehensive Polytechnic Campus Of About 18,000 Students On California’s Central Coast. One Of The California State University’s 23 Campuses, Cal Poly Provides A Renowned Learn By Doing Education Aimed At Producing Innovative Professionals And Future Industry Leaders Literate In Science And Technology As Well As The Liberal Arts. With Graduates Who Hold A 97% Employment Rate, Cal Poly Is A Nationally-Ranked University Located On California’s Central Coast. Admissions Are Highly Competitive With Rates Below 10% For The Freshman Class. Massachusetts Maritime Academy Was Made For Sea-Loving Students. Graduates Go On To Serve The Maritime Industry After A Physically Rigorous And Mentally Challenging Academic Program. Graduate Programs, Continuing Education, And Maritime Training Are Also Available. The University Of Maryland Is Home To More Than 90 Majors, 800 Clubs And Organizations, 20 NCAA Division I Teams, And 25 Programs Ranked In The Top 10 Nationally. The Suburban Campus Offers Students Numerous Opportunities Including Internships At The White House, The Smithsonian Institution, And NASA. Often Referred To As Missouri S&T, Missouri University Of Science And Technology Is A Public, State-Sponsored College Situated In Rolla. Offering More Than 65 Degree Programs, S&T Is One Of The Nation’s Leading Technological Research Universities. Students May Choose From Engineering, Business, Sciences, The Humanities And Liberal Arts, As Well As Pre-Professional Advising. Numerous Athletic Teams Compete In NCAA Division II Programs And Non-Athletes Can Participate In ROTC Or Countless Other Clubs And Organizations. Missouri S&T Has Received Numerous National Accolades For Being A “Best Investment” College, As Well As A Premier Technological Institution. Located In The Heart Of Seattle, UW Is One The Top Research Universities In The Country. Colleges In Arts And Sciences, Education, Environment, Nursing, Engineering, Public Affairs And More Give Students A Wide Variety Of Programs From Which To Choose. A Large Undergraduate Research Program Encourages Students To Conduct Their Own Studies And Experiments, And To Work Closely With Faculty In Creating New Knowledge. Brigham Young University Was Established In 1875 To Provide Higher Education Under The Principles Of The Church Of Jesus Christ Of Latter-Day Saints. Bachelor’s Degrees Are Available In 193 Programs With An Additional 62 And 26 Master’s And Doctoral Degrees, Respectively. BYU Is Home To Numerous Libraries, Museums, Theatres And Concert Halls. Stony Brook University Is A Dynamic Public University On The North Shore Of Long Island In New York State. Placed In The Top 1% Of Universities Worldwide By The Times Higher Education World University Rankings, Stony Brook Is A Smart Choice For Your Future. The School Offers First-Rate Opportunities For Undergraduate Research And More Than 200 Majors, Minors And Combined-Degree Programs. What Starts At The University Of Texas At Austin Changes The World. UT Austin Is Among The Top Public Research Universities In The Nation, Awarding Approximately 12,000 Degrees Each Year While Charging Lower Tuition Than Most Of Our Peer Schools And Continually Innovating The Classroom Experience. The Faculty And Students Are At The Heart Of Game-Changing Research In The Sciences And Humanities And Students Receive A Top-Tier Education In A City Regarded As One Of The Coolest Places To Live. Located In West Lafayette, Purdue Also Has Several Regional Campuses From Which To Choose. Purdue Offers More Than 200 Majors And Programs And Gives First-Year Students The Opportunity To Join A Learning Community To Share In The College Experience Together. A World-Class Institution, Binghamton University Offers Students A Broad, Interdisciplinary Education With An International Perspective And One Of The Most Vibrant Research Programs In The Nation. Ranked Among The Elite Public Universities In The Country, Binghamton Challenges Students Academically, Not Financially, In Its Unique, Best-Of-Both-Worlds Environment. The Students, Both Undergraduate And Graduate, Work One-On-One With An Exceptional Faculty And Groundbreaking Scholars. They Take Advantage Of Special Academic Opportunities Like Combined Degrees, Foreign Language Study Groups And An Unparalleled International Education Program. Students At The University Of Connecticut Can Choose Form 102 Undergraduate Majors, 88 Graduate Fields Of Study, And Five Professional Degree Programs. Located In A Beautiful Rural Setting, There Are More Than 500 Clubs And Organizations In Which Students May Be Involved. Located On The Shore Of Lake Mendota, The University Of Wisconsin-Madison Is Home To Numerous Parks And More Than 150 Miles Of Trails For Runners, Bikers, And Hikers. Degrees Are Available In Genetics, Dairy Science, Wildlife Ecology, International Business, Numerous Concentrations In Education And Engineering, Plus Various Certificate Programs. Extracurricular Activities Are Available For Nearly Every Interest. At Umass Amherst, Students May Choose From A Wide Range Of Academic Programs And Unique Concentrations Or Design Their Own Major Through The Bachelor’s Degree With Individual Concentration Program. Students Are Involved In Programs That Impact Day-To-Day Student Life, Such As The Student Government Association And Student Leadership Council. This Private University Has Small Class Sizes And Degrees That Focus On Aviation, Engineering, And Business. Embry-Riddle’s Main Campus Is Located At Daytona Beach, Florida With A Residential Campus In Prescott, Arizona And Has More Than 130 Satellite Campuses Worldwide Designed To Meet The Needs Of Civilian And Military Working Adults. CU-Boulder Was Founded In 1877 And Is The Flagship University Of The State. The College Embraces Diversity And Offers A Wide Range Of Resources For Every Student And Interest. More Than 150 Areas Of Study Are Available To CU-Boulder’s Nearly 30,000 Students. JMU Is Frequently Recognized As One Of The Top Universities In The Country. With Degree Opportunities In Communications, Intelligence Analysis, Justice Studies, Education, Quantitative Finance, And More, Students Have A Broad Range Of Choices. Located Between Farmlands And Mountain Ranges In The Shenandoah Valley Approximately Two Hours From Washington, D.C., And Richmond, Va., JMU Is A Unique Geographic Location To Live And Work. One Of Only Two Polytechnic Universities In California, Cal Poly Pomona Embraces A Learn-By-Doing Philosophy, Turning Theory To Practice In Every Academic Discipline. The University Recognizes That Students Who Solve Classroom Challenges Today Have An Advantage As Professionals Solving Real-World Problems Tomorrow. Cal Poly Pomona, Nestled In 1,438 Rolling Acres Is Located About 30 Miles East Of Downtown Los Angeles And Enjoys A Suburban Setting With All The Luxuries Of A Major Metropolitan Area. George Mason University Is An Innovative, Entrepreneurial Institution With Global Distinction In A Range Of Academic Fields. Located In Northern Virginia Near Washington, D.C., Mason Provides Students Access To Diverse Cultural Experiences And The Most Sought-After Internships And Employers In The Country. Mason Offers Strong Undergraduate And Graduate Degree Programs In Engineering And Information Technology, Organizational Psychology, Health Care And Visual And Performing Arts. George Mason University-Where Innovation Is Tradition. The University Of Florida Is One Of The Nation’s Most Academically Diverse Public Universities With 16 Colleges, More Than 100 Undergraduate Majors, And Almost 200 Graduate Programs. Through Its New January-Through-August Innovation Academy, It Offers A Minor In Innovation. In The Coming Year, UF Online Will Offer Full Four-Year Online Bachelor’s Degree Programs. UF Is Located In Gainesville. The College Of New Jersey Is Ranked As One Of The Most Competitive Schools In The Country And Has Earned National Recognition For The Excellence It Displays Through Its Students, Faculty, And Academic Programs. Students Are Encouraged To Broaden Their Horizons Through TCNJ’s 150+ Extracurricular Organizations. An Award-Winning First-Year Experience And Freshman Orientation Program Ensures That Students Are Successful. Located In The Heart Of Raleigh, North Carolina, NC State Offers Research Opportunities To Its Undergraduate Population, Helping To Put Their Studies To Practice And Allowing Them To Be More Competitive In The Job Market And When Applying To Graduate School. More Than 34,000 Students Attend This Globally-Recognized University. A Major Research University, Texas Tech Is Proud To Maintain The Feel Of A Smaller Institution. Graduate And Undergraduate Enrollments Are At Record Levels. The Faculty And Students Are Winning International Acclaim And They Are Recruiting And Hiring Top-Flight Faculty In A Variety Of Disciplines. The Goal At Texas Tech Is Simple: Become One Of The Nation’s Great Research Universities. Started As A Small Private Academy In 1743, The University Of Delaware Has Grown To Serve More Than 20,000 Graduate And Undergraduate Students With Associate, Bachelor, Master, Doctoral, And Dual Graduate Programs. UD Has State-Of-The-Art Academic And Public Facilities And Offers 21 Intercollegiate Athletics Programs As Well As 300 Student Organizations. The Carnegie Foundation For The Advancement Of Teaching Has Identified UD As A Research University With Very High Research Activity, Making UD One Of The Premier Research Institutions In The Nation. Auburn Is One Of The Few Universities To Hold Land, Sea, And Space Grants And Is Among The Largest Universities In The South. Auburn’s 25,000 Students Can Choose Form 140 Undergraduate, Graduate, And Professional Degrees In Architecture, Forestry, Veterinary Science, Interior Design, And More. New And Continuing Students Benefit From The College’s Academic Coaching And Counseling And Study Smart Program. SJSU’s Beginnings Were As A Normal School, Training Teachers To Educate The Children Of The New Frontier. Now, The University Offers Students 134 Bachelor’s And Master’s Degrees With 110 Concentrations. Located At The Southern End Of San Francisco Bay, Students Enjoy SJSU’s Varied Athletics, Recreation, Entertainment, Arts, Culture, And Student Activities. WSU Has Earned National Recognition For Many Of Its Programs, Including Its Community Engagement, Research Activity, And Awards For Many Of Its Specific Academic Colleges. In Addition To The Main Pullman Campus, WSU’s 26,000 Students Also Attend Classes In Spokane, Tri-Cities, Vancouver, And Globally Through ELearning, Online Degrees, And Additional Opportunities. With 100 Majors And More Than 800 Student Organizations, Students Are Certain To Find Coursework And Activities Of Interest Here. Iowa State Is Located In The Scenic Town Of Ames And Serves More Than 30,000 Students. The University’s Learning Communities, A Nationally-Rated Program That Assists Students Through Their First Years Of College Life, Boast A 70% New Student Participation. Oregon State University Is Oregon’s Leading Public Research University, With More Than 26,000 Students In 13 Colleges And Nearly 300 Undergraduate And Graduate Degree Programs. Oregon State Attracts More Top Students Than Any Other University In Oregon, With More Than 2,000 Undergraduates Participating In Research Projects Every Year. The Median Income Of Oregon State Alumni Is 50 Percent Greater Than The Median Income Of College Graduates Nationwide. Since 1885, The South Dakota School Of Mines And Technology Has Been A National Leader In Preparing World-Class Engineers And Scientists. Award-Winning Undergraduate Education Is Enhanced By Graduate Education And Research And Development In Areas Of Critical Need To South Dakota, The Nation, And The World. Our Graduates Design, Construct, And Operate The Most Modern Technology To Meet Today’s Complex Challenges And Are Held In The Highest Regard By Their Fellow Leaders In Industry, Consulting, Government, Health, Research, And Education. The University Of North Carolina At Chapel Hill Opened To Students In 1795, Making It One Of The Older Universities In The United States. The School Is In The Beautiful Town Of Chapel Hill, And Features A Wonderful Campus With Great Academic Programs. Some Of The Areas Of Study That Are Quite Popular Include Education, Law, Medicine, And Social Work. The University Of Rhode Island (URI) Is The Largest University In The Nation’s Smallest State. That Means Offers The Cutting-Edge Research, Discovery, And Experiences Typically Found At Much Larger Institutions, Alongside The Friendly, Student-Centered Atmosphere Of Smaller Institutions. In 2009 And 2011, The Wall Street Journal’s Smart Money Magazine Ranked URI Top In New England For “Best Return On Investment.” In 2013, The Princeton Review’s Guide To Green Colleges Name URI Onto Fate National’s Most Eco-Friendly Campuses For The Fourth Consecutive Year. And In 2008, URI Was Listed In The Princeton Review’s Colleges With A Conscience: 81 Great Schools With Outstanding Community Involvement.” With More Than 100 Degrees, Interdisciplinary Programs, And Leading Problem Solvers, URI Inspires Its Students To Provide A Constant Flow Of Big Ideas To Respond To The World’s Changing Needs. UMBC Is A Public Honors University With About 10,000 Students Choosing From 42 Undergraduate Majors, 37 Master’s Programs, And 24 Doctoral Programs. Located 15 Minutes From Baltimore’s Inner Harbor And 30 Minutes From Washington, D.C., UMBC Offers A Long List Of Clubs And Activities To Help Round Out Students’ Education. With An Aim To Become A Model Comprehensive University, Cal State Fullerton Offers Students Educational Experiences Both In And Outside Of The Classroom. Located In Orange County, The University Has Partnerships With Public And Private Organizations To Provide Its 37,000 Students The Best Degree Programs Possible. Services Are Available For Freshmen As Well As Students Needing Additional Assistance To Make The Most Of Their College Experience. Established In 1870, The Ohio State University Has Been Ranked Among The Top Public Universities In The U.S. With 175 Undergraduate Majors And A Total Enrollment Of Nearly 65,000, OSU Offers A Wide Range Of Learning And Extracurricular Activities To Its Students. The University’s Athletic Program Is The Largest Self-Supporting Athletics Program In The Country. At OU, Undergraduate Students Have The Unique Opportunity To Work Alongside Professors And Industry Leaders To Conduct Research Projects. Small Class Sizes Add To Students’ Educational Experience, In Addition To The More Than 450 Clubs And Organizations Available. Located In Small-Town Norman, The University Population Still Enjoys All The Benefits Of A Big City With A 20-Minute Drive To Oklahoma City. UAHuntsville Serves About 7,700 Students, Offering 71 Degree Programs Ranging From Bachelor’s Degrees To Ph.D. Programs. With A Student/Faculty Ratio Of 16:1, Students Enjoy A Close Relationship With Their Professors. The University Also Offers Professional And Continuing Education Courses For Working Professionals Looking To Improve Their Marketability In The Workforce. San Diego State University, The Region’s Largest University, Is A Major Public Research Institution Offering Bachelor’s Degrees In 89 Areas, Master’s Degrees In 78 Areas And Doctorates In 21 Areas. With Nearly $130 Million In Annual Research Funding, A Commitment To Excellence In Diversity And A Nationally Recognized Veterans’ Program, The University Provides Opportunities For Transformative Educational Experiences Including Undergraduate Research, Internships And Study Abroad. Within Minutes Of Downtown San Diego And The Pacific Ocean, SDSU Enjoys A Scenic Location. The University Of Mary Washington Is A Premier, Selective Public Liberal Arts And Sciences University In Virginia, Highly Respected For Its Commitment To Academic Excellence, Strong Undergraduate Liberal Arts And Sciences Program, And Dedication To Life-Long Learning. The University, With A Total Enrollment Of More Than 5,000, Features Colleges Of Business, Education And Arts And Sciences, And Three Campuses, Including A Residential Campus In Fredericksburg, Va., A Second One In Nearby Stafford And A Third In Dahlgren, Va., Which Serves As A Center Of Development Of Educational And Research Partnerships Between The Navy, Higher Education Institutions And The Region’s Employers. Located 60 Miles Northeast Of Downtown Atlanta, UGA Was Founded In 1785. It Serves About 35,000 Students, Including Those Attending Extended Campuses. More Than 600 Student Organizations Are Available To Students And Athletes Compete In The NCAA Division I Program. LSU Is Home To Numerous Nationally-Ranked Programs. With Degree Programs In Agriculture, Veterinary Medicine, Mass Communication, Education, Engineering, Business, And More, Students Are Certain To Find A Program Of Interest. Students Can Enjoy The Many Museums, Music Venues, Theatres, Student Organizations, And Recreational Activities In And Around The University. Oregon Tech, The Only Public Institute Of Technology In The Pacific Northwest, Provides A Rigorous, Practical Education While Using Cutting-Edge Application For Real-World Solutions. To Foster Student And Graduate Success, The University Provides An Intimate, Hands-On Learning Environment, Focusing On Application Of Theory To Practice. Oregon Tech Offers Degree Programs In Engineering, Health Technologies, Management, And The Arts And Sciences. When You Graduate, You Won’t Just Find A Job, You’ll Launch Your Career. A Major National Research University, Iowa Educates More Than 30,000 Students. A Big Ten Athletic School, More Than A Million Visitors Flock To The University Each Year To Attend Athletic Events, Participate In Conferences And Educational Programs, Or To Enjoy Cultural And Art Exhibitions. Students Choose From More Than 100 Areas Of Study Including Seven Professional Degrees. UB Was Founded In 1846 And Is A Flagship Institution In The State University Of New York System. The Student Body Consists Of Nearly 30,000 Students Studying More Than 100 Undergraduate Degrees, 205 Master’s Degrees, 84 Doctoral Degrees, And 10 Professional Degrees. At This Research-Intensive Public University, Students May Also Choose From A Wide Range Of Extracurricular Activities. Consistently Ranked A Good Value, Ramapo College Of New Jersey Offers Bachelor’s Degrees In The Arts, Business, Humanities, Social Sciences And The Sciences, As Well As In Professional Studies, Which Include Nursing And Social Work. In Addition, Ramapo College Offers Courses Leading To Teacher Certification At The Elementary And Secondary Levels And Six Graduate Programs. Undergraduates Choose To Concentrate Their Studies In One Of Five Schools With More Than 700 Course Offerings And 40 Academic Programs. Ramapo College Boasts An Average Student/Faculty Ratio Of 18:1 And Average Class Size Of 23, Affording Students The Opportunity To Develop Close Ties To The College’s Exceptional Faculty. Attending a public college is a great way to get a world-class education at a lower cost than through a private school, and larger schools mean more opportunity for academic exploration. The schools below educate thousands of students by offering robust programs ranging from physics to business administration and fine art, and are found all across the United States. See which large public colleges make the grade in 2015. Arizona State University is a school located in Tempe, Arizona. The school has a variety of high quality accredited academic programs. The school features a number of campuses focusing on different specialties throughout the Tempe and Phoenix area. The school offers classes in a variety of different areas including anthropology, physics, philosophy and sociology. Enrollment at Auburn University is more than 25,000, and students who are at the school are able to choose from more than 140 different degree options. They have programs for undergraduates, graduates, and even professional degrees at the school. Students will find majors in agriculture, education, business, nursing, liberal arts, and more at this university in Auburn, Alabama. In Muncie, Indiana, Ball State University is offering 180 undergraduate majors, as well as 100 master’s degree programs and doctoral degree programs. The school is able to offer education in a variety of different areas including nursing, education, and telecommunications. Campus life is fun and full of activities for those who attend the school. Cal State Fullerton is one of the top teaching and research universities in the nation today, and they are able to offer affordable programs for undergraduates and graduates. Located in the city of Fullerton in Orange County, this California State University offers a great campus, plenty of activities for students, and many different areas of study. Driven by research, great professors and staff, and a body of students ready to learn, California State University at Long Beach remains one of the best schools in the West. Great weather, a great location, and many academic programs help to make the university a top choice. Some of the popular programs include business, engineering, and education. Central Michigan University, founded in 1892, is in the town of Mount Pleasant. While the school was originally for teachers and business education, it has grown to become the fourth largest Michigan institution and one of the 100 largest universities in the country. The school offers programs in business admin, fine arts, medicine, graduate studies, and more. Colorado State University in Fort Collins has a beautiful campus and a great community. The school offers many activities on-site and in the area that students can enjoy, and they will have a rich academics program as well. The school offers more than 250 different programs for undergraduates and graduate students. Students who want to live and go to school in one of the largest and busiest cities in the world may want to attend Hunter College, located right in the heart of Manhattan. Founded in 1870, CUNY Hunter College features a range of academic programs that cover everything from nursing to women’s studies. CUNY Queens College is located in Queens, New York, and it offers plenty for students to love. The school, founded back in 1937, is a part of the City University of New York system and offers research opportunities as well as great educational opportunities. Some of the academic choices at the campus include general education, social sciences, and math and natural sciences. Greenville, North Carolina is the home of East Carolina University, a school that has a wonderful athletics program as well as strong academic programs. Students will find many areas of study from which they can choose including business, health sciences, and art. They have programs for bachelor’s degrees, master’s degrees, and doctoral degrees. Eastern Michigan University serves more than 23,000 students in their undergrad, graduate, specialist, doctoral, and certificate programs. They have study areas that cover arts, science, business, and much more. The school, located in Ypsilanti, features a wonderfully diverse student body, as well as many campus activities and organizations for the students. Florida International University, located in sunny, beautiful, and vibrant Miami is the only public research university in the city that can offer bachelor, master, and doctorate degrees. Some of the courses of study from which students will be able to choose include business, architecture, health sciences, arts, journalism and law. Students who are seeking a great campus and who want to have the perfect undergraduate experience in a state with wonderful weather would do well to consider Florida State University. The school, located in Tallahassee, features a many great programs for medicine, arts and sciences, communications, criminology, education, and many other fields. Fairfax, Virginia is home to a very popular university that has programs and training for graduates and undergrads in a variety of different fields. Students will be able to take courses for accounting, anthropology, criminology, economics, history, and much more. George Mason University has a great location in VA, and is only a short distance from Washington, D.C.
Georgia State University is one of the top 100 public universities for doctoral degrees, and is a leader in research. The school has more than 250 different degree programs and 100 fields of study. The school, in Atlanta, GA, was founded in 1913. The school currently has nearly 32,000 students enrolled. Grand Valley State, University is a school located in Allendale, MI. The school has many different avenues of study for students. Some of the most popular options for those students include archeology, accounting, criminal justice, education, engineering and finance. In all, they have more than 200 areas of study at the school. Indiana University, in Bloomington IN, has been around since 1820, and has a long and storied history. They are one of the top schools in the country and have a beautiful campus on nearly 2,000 acres. They offer educational programs for journalism, library and information science, technology, nursing, music, business, and more. Indianapolis, Indiana is the home of Indiana University-Purdue University-Indiana. Named one of the best colleges in the Midwest, the school features more than 200 different programs from which students will be able to choose. The location, right in the heart of the downtown area, is convenient for students and faculty. In the heart of Ames, Iowa sites Iowa State University. The school started as an agricultural college in 1858, but now includes a diverse range of academic programs from which students can choose. The university offers 100 bachelor’s degree programs, 112 master’s degree programs, and 83 doctoral degrees. They also offer a professional degree in veterinary medicine. K-State, founded in 1863, was one of the first land grant colleges in the United States. The school is one of the top research universities in the country, and it is working to become even more prominent. Kansas State University in Manhattan, KS features undergraduate study programs, as well as graduate study programs. They have more than 24,000 students from all around the world. The students who attend Kennesaw State University in Kennesaw, GA will find that they have a great campus with student activities and on-site services, as well as a great number of choices when it comes to their academics. The school is able to offer graduate and undergraduate courses of study in many different areas including the arts, business, and science. Since 1910, Kent State University in Kent, Ohio has been providing high quality education for students. The school features a large and diverse student body as well as a number of academic programs, which will help the students to pursue their dreams. Popular programs include the arts, digital science, and architecture. LSU, or Louisiana State University, is one of the most popular schools in the country with some of the best academic programs available. Students will be able to take courses in art and design, engineering, science, humanities, and more. The LSU campus is located in the city of Baton Rouge. Metropolitan State University in Denver offers many different types of bachelor and master’s degree programs. The campus is in the downtown area and it very convenient for students and faculty. Founded in 1965, the university now enrolls close to 23,000 students. The campus has real cultural diversity and it offers many areas of study including 55 majors, 90 minors, and 40 certificate programs. Michigan State University has been operating for more than 150 years, providing students with many different types of opportunities in various fields of study. Some of the options for study include agriculture, accounting, anthropology, forensic science and nursing. The beautiful and historic campus of MSU is located in East Lansing, MI. Founded back in 1911, Middle Tennessee State University started as one of three state normal schools for training teachers. Today, the school has a great campus in Murfreesboro, TN and offers academic programs in a number of different fields including liberal arts, communication, business, education, and much more. They offer bachelor’s degrees, as well as master’s degrees, and doctorates. North Carolina State University at Raleigh has more than 34,000 students today, and they are pursuing a wide range of academic programs including social sciences, design, veterinary medicine, life sciences, physical sciences, mathematics, and more. The Raleigh campus offers plenty of recreational and cultural activities for the students to engage with as well. In Flagstaff, Arizona, Northern Arizona University remains one of the strongest schools in the state. They offer undergraduate, graduate, and master’s degree programs, and it is possible to find courses of study for business, management, education, the social sciences, and more. The school also offers doctoral programs, not to mention a recreation center and plenty of campus activities. The main campus for The Ohio State University is found in Columbus, and the school offers a wide variety of different classes and courses of study. Some of the popular options include health, chemistry, and linguistics, arts & sciences, and engineering. Students will have many options when they go to school at Ohio State. Ohio University’s main campus is in Athens, OH, and features a number of organizations and programs for student enrichment. The diverse campus is also the home to many different academic programs including business, fine arts, education, communication, and more. The school offers studies for undergraduates as well as for graduates. Situated in Stillwater, OK, Oklahoma State University features a great campus with plenty of activities and organizations for students to enjoy. The school has great educational opportunities as well. Some of the prominent fields for study include arts and sciences, engineering, human sciences, and agricultural sciences. They have graduate study programs as well. Norfolk, VA is home to Old Dominion University, one of the most popular schools in the state. ODU was founded in 1930 as a division of William and Mary, but became an independent university in 1962. The school has a number of courses for undergraduate study and it is one of the top 100 universities for graduate schools in education. Pennsylvania State University’s main campus is in University Park, PA and offers a robust athletics and education program on a great campus. Founded all the way back in 1855, the university offers graduate and undergraduate degrees in a variety of different fields including arts and architecture, nursing, engineering and education. The 50-acre campus of Portland State University is in downtown Portland, OR. The school has a beautiful campus and a great location, both of which help to foster learning. PSU offers more than 220 undergraduate, master’s programs and doctoral degree choices for students to pursue. It is the largest and most diverse university in Oregon. The main campus of Purdue University is in West Lafayette, Indiana, and it has been in existence since 1869. The school offer nearly 200 different majors, and it is possible to pursue careers in engineering, healthcare, business, law, visual arts and design, writing and communication, and more. The Big Ten university has more than 30,000 undergraduate students. As one of the oldest schools in the nation, Rutgers University in New Brunswick, NJ still provides students with the best in education. The school features more than 100 undergraduate programs of study, and they provide a great emphasis on science and the arts. The school also features a number of graduate programs. Situated just outside one of the most vibrant cities in the country, San Diego State University features a wide range of different programs on a beautiful campus. The school has programs for undergrads and graduates who are pursuing many different areas of study. Some of the popular programs include aerospace engineering, physics, television, film and new media, and sociology. San Francisco State University began in 1899 as a two-year teacher training college, but today, they offer a wide range of different degrees and areas of study including fine arts, music, science, and public health. The campus offers a great location so students will be able to enjoy all of the arts and culture the city has to offer. Situated on 154 acres in the downtown area of San Jose, the San Jose State University has a wonderful campus and a convenient location. The university offers more than 134 different bachelor’s degrees, as well as 110 master’s degrees. Popular programs include the behavioral sciences program, computer engineering, and creative arts. Stony Brook University is recognized for its innovative programs, groundbreaking discoveries and integration of research with undergraduate education. Sitting on 1,039 acres on the beautiful North Shore of Long Island, 60 miles east of Manhattan, the school is home to more than 24,000 culturally diverse students. When it comes to athletics and academics, it is hard to surpass Texas State University in San Marcos. The school offers a great campus and plenty of opportunities for recreation and study. The university features some wonderful academic programs including agriculture, criminal justice, economics, health and wellness, psychology, and much more. More than 30,000 students are enrolled at Texas Tech University in Lubbock, TX. The school has a wonderful faculty as well as some of the best academic programs, including more than 150 undergraduate programs. Some of the areas of study at the school include education, business communication, humanities and cultures, and natural resources. Home of the Crimson Tide, the University of Alabama has more to offer than just athletics. The school has been a fixture in the state since its founding in 1831 as the first public collect in the state. Located in Tuscaloosa, the school offers a number of different majors from art and biology to marketing and religious studies. The University of Tennessee features a main campus in Knoxville, but it has others in Chattanooga and Martin, as well as the Health Science Center. UT is one of the top public universities in the country, and it is the largest research institution in the state. The school has eleven colleges and provides more than 300 programs for graduate, undergrad, and professional degrees. With enrollment at more than 33,000, the University of Texas at Arlington remains one of the most popular public universities in the state of Texas. The school has a reputation as being one of the premier research universities in the country. They have programs for undergrads and graduates in engineering, business, art, and much more. UTSA, or the University of Texas – San Antonio, features a great campus near the heart of the city. It sites on 725 beautiful acres. The school has more than 30,000 students in a variety of different programs. Some of the popular academic areas for students include architecture, business, engineering, and science. Students will find more than 400 different degree programs at the University of Buffalo in New York. The can study in many different areas including geological sciences, history, civil engineering, music, nursing, and much more. The campus offers student organizations and activities and allows students to express and appreciate their diversity. Students are going to be able to choose from more than 300 different degree programs at the University of Akron. The school’s main campus in Akron, OH provides students with a safe place to learn and more than 200 student organizations to explore. Choose from many fields including accounting, biology, and business management. Students who choose to go to the University of Arizona will be able to choose from some of the best academic programs in the country. They have more than 300 undergrad programs from which they can choose. The campus is in Tucson, and offers plenty of options for rest, recreation, and study. The University of California at Berkeley has a wonderful reputation and as many of the top doctoral programs in the country. They have a variety of areas of study for undergraduates and graduates, and have a beautiful campus located in the town of Berkeley. Students who attend will be able to partake in all of the school’s extracurricular offerings as well. UCLA has a reputation as being one of the best schools in the country, and with good reason. The University of California – Los Angeles has been around for nearly 100 years and in that time, has produced 12 Nobel Prize winners amongst their alumni. The school features more than 5,000 courses and 125 different majors. Located in the gorgeous setting of La Jolla, just a short distance from San Diego, is the University of California – San Diego. The school has more than just a great location. They have a wide range of undergraduate and graduate programs including bioengineering, literature, music, nano-engineering, psychology, and the visual arts. Located in Orlando, the University of Central Florida has plenty to offer those who attend as a full-time or part time student. Some of the popular programs available at the school include hospitality management and business. The main Orlando campus has 1,415 acres featuring lakes, woods, and even an arboretum. A public research university, the University of Cincinnati, based in Cincinnati, Ohio features an enrollment of more than 42,000 students. The school has a great location, and a robust academic system that features a variety of undergraduate, graduate, and university honors programs. Some of the popular areas of study include art, design, medicine, and education. The University of Colorado in Boulder has the distinction of being one of only 34 public universities in the United States that is a member of the AAU – the Association of American Universities. The school opened in 1877, and in that time, produced four Nobel laureates. The school offers programs in social sciences, natural sciences, business, and more. The University of Connecticut, located in the town of Storrs, features a diverse campus culture with students coming from many different places. The university has a great reputation when it comes to the strength of their academics program. Students will be able to choose from many areas of study including law, medicine, business, and engineering. They have graduate and undergrad programs. The University of Florida is the oldest university in the state, and it happens to have courses in a number of different areas of study. It is possible for students to study journalism, fine arts, education, nursing, and more when they choose this school. The University of Florida is in Gainesville. Georgia was the first state to charger a state university, and that school was the University of Georgia in Athens, GA. Those who attend the school will become a part of the university’s long and rich history. Some of the popular programs at the university include journalism, law, education, arts and sciences, and veterinary medicine. Located in Houston, TX, the University of Houston has been around for more than 90 years and is one of the top research universities in the state. More than 40,000 students receive education at the school each year, and they have more than 300 different academic programs from which they can choose. One of the top research universities in the country is right in the heart of Chicago. The University of Illinois – Chicago has 27,580 students. The university offers 82 bachelor’s degree programs, 93 master’s degree programs, and 67 doctoral programs. Popular areas of study include kinesiology, science, criminology, art and architecture. The University of Illinois at Urbana-Champaign features some rather prominent alumni, including Nobel and Pulitzer winners, astronauts, and corporate leaders. The school has a wonderful campus, and features a variety of educational programs in health sciences, engineering, education, business, law and more. They are one of the leading public universities in the country. The University of Iowa, located in Iowa City, provide students with a large number of different areas of study for graduate and undergraduate degrees. They have programs for applied physics, art history, mechanical engineering, podiatry, and much more. The University has a diverse makeup of students, and a great campus. The University of Kentucky is a public university that strives to provide excellent educational opportunities and research. The university, located in the city of Lexington, has a wide range of undergraduate and graduate programs. Areas of education that prove popular at the university include communications, design, education, law, medicine, and social work. At the University of Maryland, students are going to be able to engage in a wide range of different programs and courses for study. The school has some of the best programs for architecture, bioengineering, computer science, finance, philosophy and more. The campus is in College Park, MD, and offers a great location for students. The University of Massachusetts at Amherst is on nearly 1,450 acres of land in the Pioneer Valley. The campus is just 90 miles from Boston and 175 miles from NYC. The school has more than 28,000 students, and features 108 bachelor’s degree programs, 76 master’s degree programs, and 50 doctoral programs. The campus for the University of Memphis, founded in 1912 as the West Tennessee Normal School, is on 1,607 acres and includes 237 buildings across eight different sites. The school has more than 22,000 students receiving an education in a variety of different areas. Some of the academic programs including anthropology, art, design, and psychology. Located in Ann Arbor, the University of Michigan offers a beautiful campus and a wonderful academics program. Started in 1817 in Detroit, the school moved to Ann Arbor in 1837, when Michigan became a state. The school has many areas of study, including business, music, theatre, education, architecture and nursing. The campus is right near the center of the Twin Cities, and it offers students plenty. Those who choose to study at the University of Minnesota-Twin Cities will find that it is one of the largest schools in the country and they are able to offer degrees and doctorates in many different fields of study including business to engineering. In Columbia, Missouri, the University of Missouri, or “Mizzou” stands as one of the best schools for academics and athletics. Founded in 1839, the school has a great reputation when it comes to teaching as well as research. Some of the programs at the school include business admin, information technology, mathematics, and journalism. In Lincoln, NE, you will find the University of Nebraska, a school that has been educating students for 143 years. Founded in 1869, the school has a number of difference programs, and it is one of the top research universities in the country. The school offers majors in history, nutritional science, culinary science, sociology, and more. UNLV, or the University of Nevada – Los Vegas, is a popular school that has been holding class since 1957. Today, they have more than 28,000 students, and they offer a wide range of academic programs. Some of the areas of study available include art history, electrical engineering, finance, management, marketing, and nursing. In 1889, the University of New Mexico was founded. The school now sits on close to 800 acres near old Route 66, and it right near the center of bustling Albuquerque. The campus has an architectural design reminiscent of pueblo designs, giving it a unique look. The school offers programs in medicine, engineering, and much more. Students who choose to enroll at the University of North Carolina in Charlotte will find hundreds of different academic programs and study options from which to choose. The school has more than 25,000 students and a great location the largest city in the state. The campus is gorgeous, and students will find a number of organizations they can join to make their college experience even more memorable. One of the largest universities in the country, and one of the top schools in the Dallas-Fort Worth area, the University of North Texas truly does have a lot to offer their 36,000 students. The school, located in Denton, features 97 bachelor’s, 82 master’s, and 35 doctoral degree programs in business, visual arts, music, and much more. In the town of Norman, Oklahoma, the University of Oklahoma features a great campus and a wonderful art collection at the Fred Jones Jr. Museum or Art and the Sam Noble Museum of Natural History. The school offers many different areas of academic study such as engineering, medicine, and arts and sciences. The University of Oregon began in 1876, and it has gone on to become one of the most important universities in the west. The school is in Eugene, OR on a 295-acre campus. The students and the faculty come from many different backgrounds, and this helps to perpetuate diversity at the school. The school has more than 300 academic programs, as well as 25 research centers and institutes. The campus for the University of Pittsburgh features 132 acres in the Oakland area of Pittsburgh. This school, founded in 1787, happens to be one of the oldest universities in the nation. Today, the school continues its tradition of providing quality education and offers many undergraduate programs, as well as graduate and professional programs. At the University of South Carolina’s Columbia campus, they offer more than 324 different degree programs. The school has a history that goes back more than 200 years and started with just a single building. Today, they are one of the largest universities in the state and have many different areas of study for prospective students and graduate students. The University of South Florida is on the west coast of the state in gorgeous Tampa Bay. The public university happens to be one of the largest in the country and is in the top 50 universities in the country. They offer more than 230 degree programs for undergrads, graduates, and doctoral candidates. In Salt Lake City at the University of Utah, students will be able to enjoy a beautiful, culturally rich and diverse campus with a great location. The university is one of the top schools in the world, and has a number of different programs and courses for students. They can take accounting, art, biomedical engineering, computer science, and much more. The University of Virginia in Charlottesville is still has the second spot for the best public university in the country according to U.S. News and World Report rankings. Founded in 1819 by Thomas Jefferson, the school has been preparing students ever since. Students will find many different areas of study including education, medicine, and architecture. The University of Washington has a history dating back to 1861, when it was founded. The multi-campus university has sites in Seattle, Tacoma, and Bothell, with Seattle being the home of the main campus. The school offers more than 1800 undergraduate courses. The university serves more students than any other in the northwest. The University of Wisconsin in Madison is a quality public school that offers a wonderful and varied academic program for students. Those who attend the school will be able to find courses and programs for the arts, business, music, nursing, medicine, social work, and more. Students can find graduate and undergraduate programs available. Students who are looking for a great school in Wisconsin will find that the University of Wisconsin in Milwaukee has what they need when it comes to academics and a great campus. The school has more than 180 different programs for undergrad, graduate, and doctoral students who are looking for a great education. Utah State University has more than 200 student clubs and organizations, a great athletics department, and the state’s oldest residential campus. The school also offers wonderful programs for academics including criminal justice, operations management, parks and recreation, and much more. The school’s campus is found in Logan, UT, and is a great place for students to learn in a safe environment. As one of the most prominent research universities in the country, Virginia Commonwealth University in Richmond, VA offers students rich academic opportunities and a great campus life. The school offers more than 200 different specialty areas, and enrolls more than 31,000 students. They have programs for advertising, arts, science, creative writing and much more. Virginia Tech, in Blacksburg, VA, features eight colleges and a graduate school, and students are able to choose from 65 different bachelor’s degree programs. They have 150 master and doctoral programs. The school has 31,000 enrolled full time students, and a campus that features more than 125 buildings on 2,600. It even has an airport. Nearly 25,000 students go to Washington State University across all of their campuses. The Pullman campus has nearly 20,000 students alone. The university is able to offer 95 majors for undergrads, 66 master’s degree programs, 47 doctoral degree programs, and 2 professional degree programs. The professional degrees include pharmacy and veterinary science. In Morgantown, West Virginia stands the beautiful campus of West Virginia University. Students will find a number of different academic opportunities available through the school, which features 184 degree programs and 14 academic colleges. Students can study accounting, engineering, applied science, criminology, creative writing, and more. They offer graduate programs and an Honors College as well. Western Michigan University in Kalamazoo, Michigan, has plenty to offer prospective students who are considering attending. The school has a great campus, as well as many different undergrad and graduate programs such as art, biomedical sciences, engineering, marketing, psychology, sociology, and theater. The school has more than 25,000 students currently. Small colleges offer big rewards.